I recently heard of another fundraiser that people are saying works really well. Kids don't have to sell anything and over time they should be able to raise quite a bit of money. Personally, I think it would work best when raising money for a specific mission trip or journey to a National Youth Gathering. 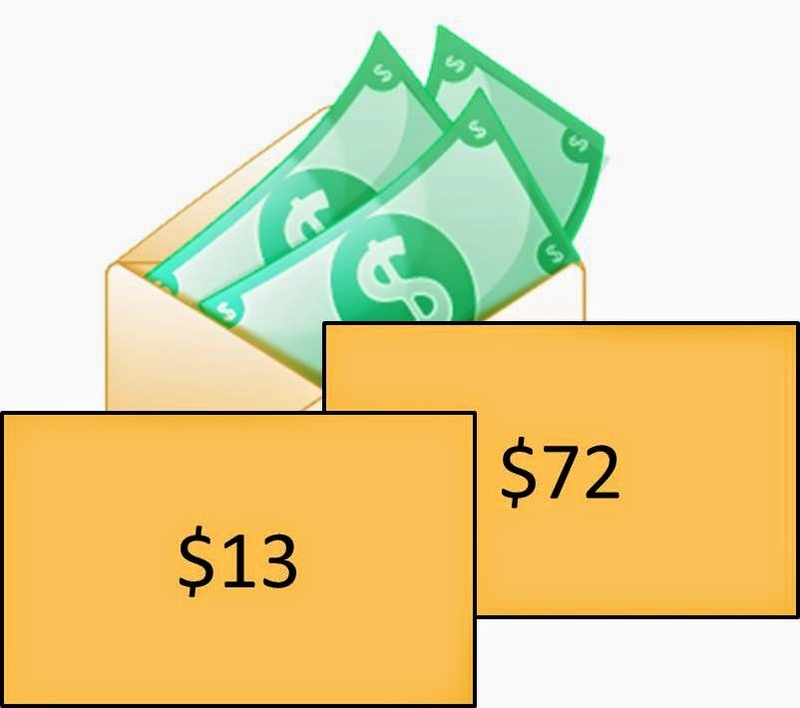 The idea is that there are a bunch of envelopes labeled with money amounts from $1 to whatever you decide and people choose an envelope and pay whatever the dollar amount is on the envelope. Simple? Yes! A small chart shows amounts below. The number of envelopes you have would depend on the size of your congregation and how much time you have to raise the money. Yes, it's a lot easier than the kids working for it but then again, the kids aren't working for it. Kids these days are given a lot without working for it. What kind of message does that send? You may not want the youth to think all they have to do is ask and money starts showing up. You want to be sure you have a fundraising policy about how the money is split up before you start. With this kind of fundraiser I recommend that it goes into the general fund and is distributed evenly between them. There are no individual profits here as there is no individual effort. Does you policy include learning goals for the kids? For example, some congregations are willing to give money to the youth but want to make sure they earn it somehow and show their appreciation to the congregation through service of some kind for their financial support. This is another fundraiser where it's the congregation that supports the youth above and beyond what they already give to the church and members of smaller congregations don't necessarily have the funds to be giving to the youth every time they turn around. Pay attention to how many times you're going to the congregation for extra financial support and try to have a good balance of fundraisers that hit up people inside and outside of the congregation.